Mental disorder. 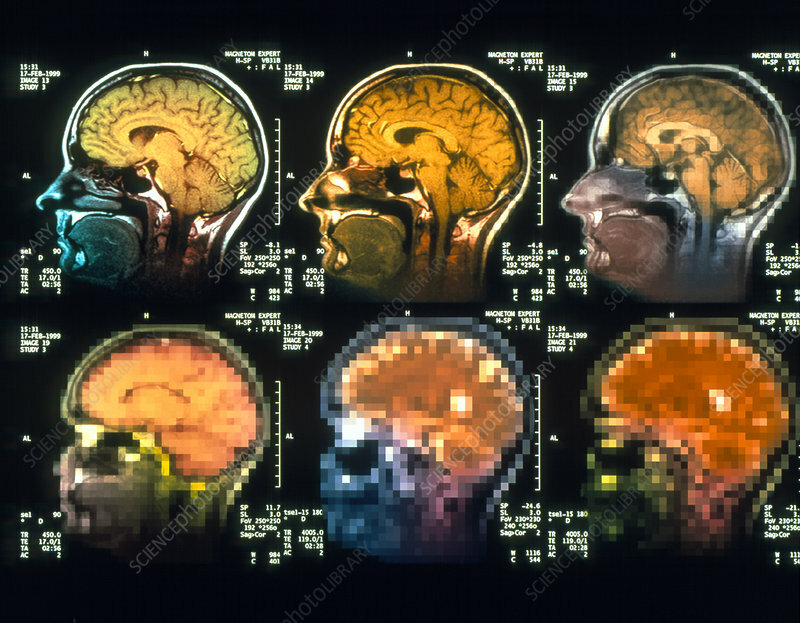 Conceptual image of coloured magnetic resonance (MRI) brain scans depicting a mental state of instability or a progressive brain disease. This may represent loss of mental control or consciousness, or hallucinations. Alternatively, it may represent changes in the brain caused by the use of drugs such as alcohol or marijuana. It may also represent the progression of brain diseases such as Alzheimer's, Parkinson's or Creutzfeldt-Jakob disease. MRI uses radio waves and a magnetic field to obtain slice images through the body.